»Save the Earth« is the most frequent phrase which we love to repeat over and over again when talking and writing about preservation of the planet’s ecological integrity. But such talk is only a product of our arrogance, superiority, exaggerated self-confidence and mistaken belief that we are actually the ones to decide our planet’s destiny. We cannot save the planet and nature. Nature does not need our help. Let’s save ourselves when there is still time. Therefore, ehohumanist society does not boast of victories over nature, because it is aware that all the victories are actually their defeats. To avoid this, it builds up such a social system, which relieves ecological integrity of the planet and receives them for itself and her descendants. proclaims the planet to be our common home and a home of all living things. 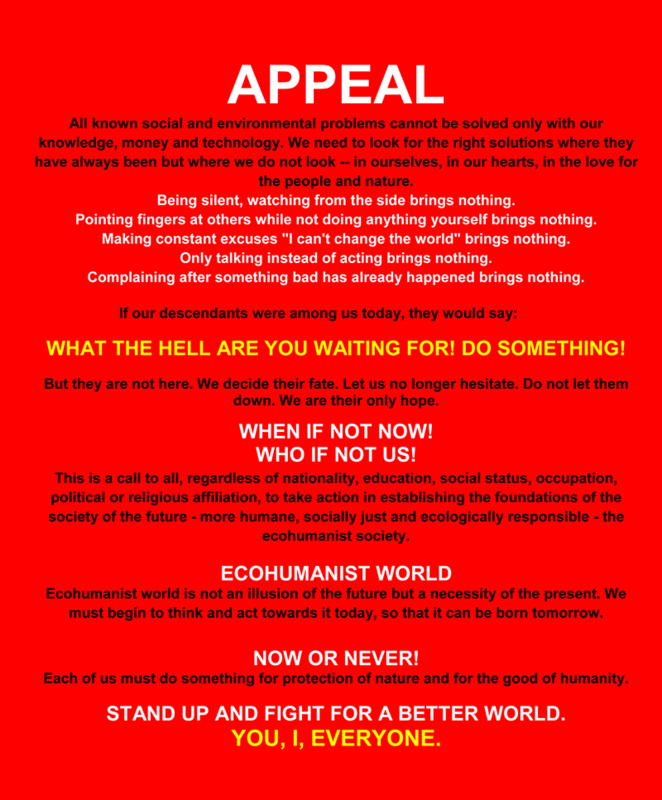 Ecohumanist society doesn’t promise heaven on Earth. 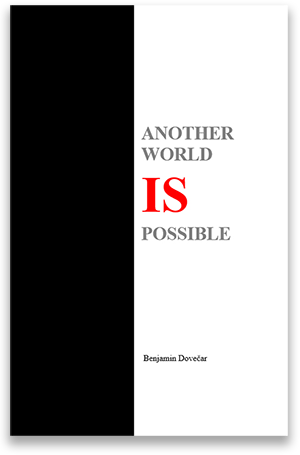 But it offers a possibility of building a better world. A world in harmony with nature. A world that preserves the planet’s ecological integrity on the behalf of every being on Earth. A world of contented people who respect nature and appreciate her advantages and beauty. A world of better present and even better future. The ecohumanist world.